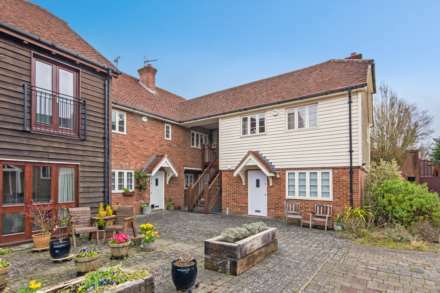 SOLD BY FLYING FISH PROPERTIES It is also a stone`s throw from easy access to the M25, fast rail connections to central London and is in the catchment area for first class schools, making it the perfect home for families with professional needs. 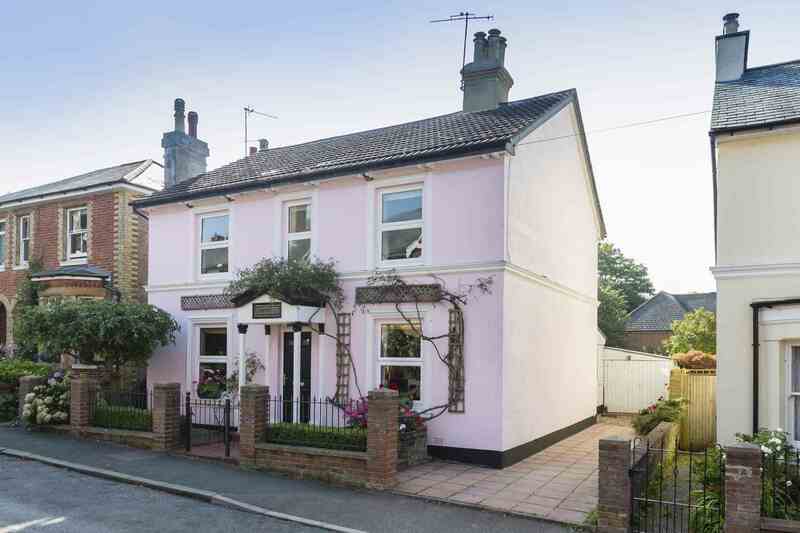 A pretty exterior of pink paintwork with its architectural features picked out in contrasting black and white really makes this Victorian home stand out from its neighbours. A wrought iron fence between smart brick columns with low box hedging peeping through fronts a traditionally tiled path leading you up to the impressive canopied porch, climbing roses framing its entrance. 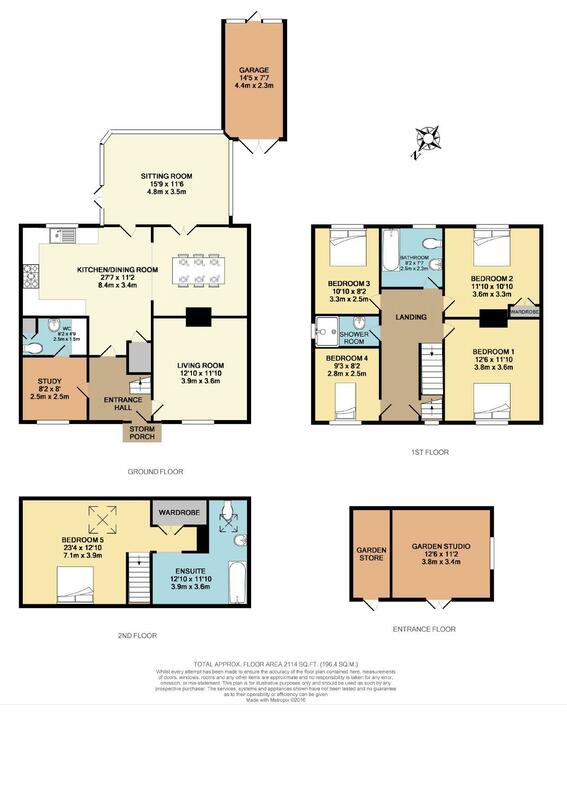 The front door opens into a entrance hallway with doors leading off to its bright and spacious reception rooms providing plenty of versatile living space. 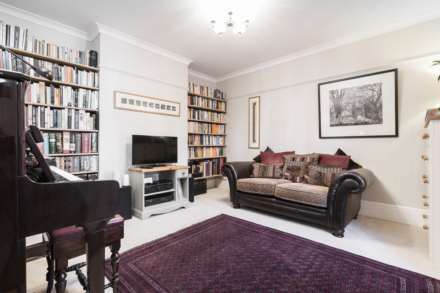 The living room is first on the right with fitted alcove book shelving either side of the chimney breast and a window overlooking the street drawing light into the cosy room. 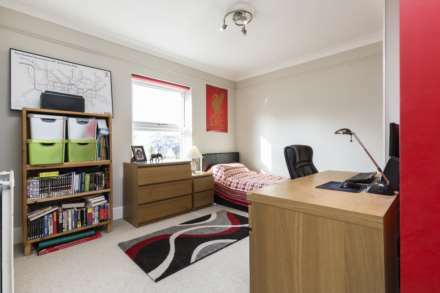 Across the hall is another reception room that would be perfect as a home study with a useful guest cloakroom and utility space accessed off it. 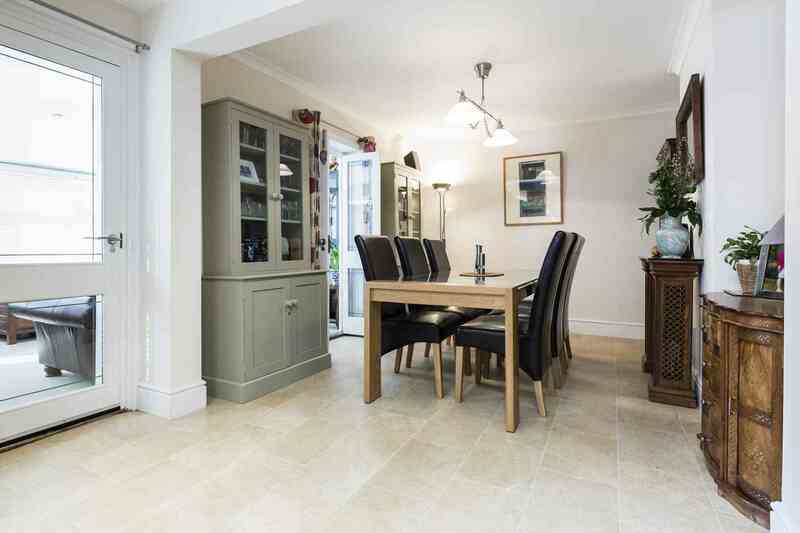 Further along the hallway is the kitchen with a large dining area to the right. 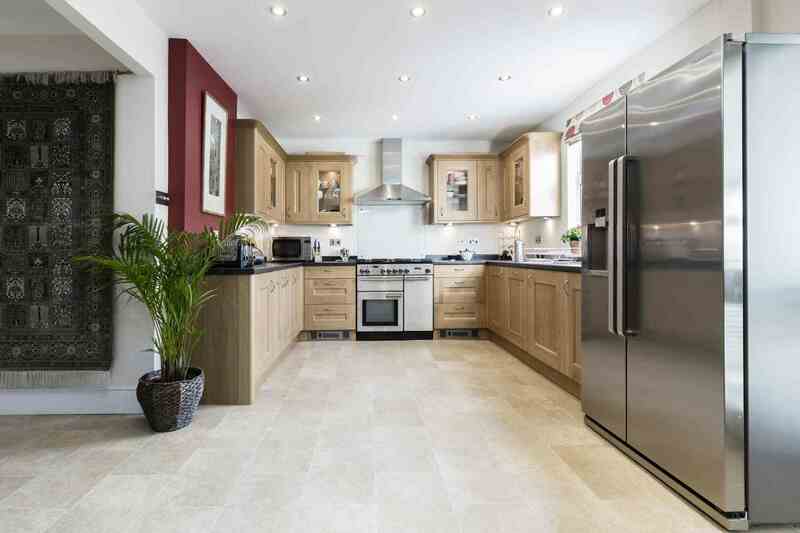 The kitchen window brings views of the garden in enabling you to watch the kids play as you wash up. For family and entertaining there is tons of space and the fitted kitchen delivers wonderful cooking facilities with a range of eye and base level oak, integrated dishwasher and ample space for a large range cooker and family sized fridge/freezer. At the rear is the third reception room currently used as a sitting room. With double French doors providing access to the terrace and garden beyond and wrap around windows blurring the inside and out, it is a fantastic space for both family living and entertaining. Climbing the stairs in the centre of the house bedroom one is directly on your right with a large bright window flooding the room with light. 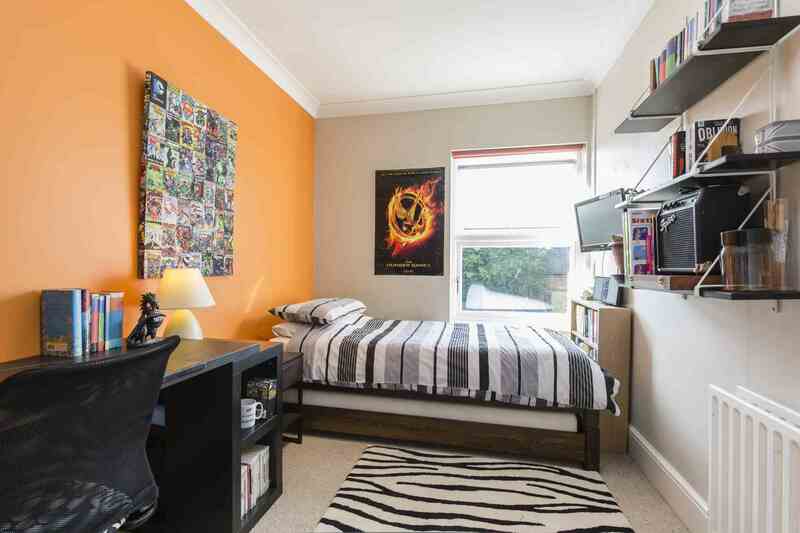 There are three further bedrooms on this floor, two of which are generous doubles. Along the hallway a large bathroom reflects light from its frosted window across the tiled floor and white classical fittings. A white pedestal wash basin blends Victorian opulence with the modern over bath shower creating a relaxing and contemporary feeling. 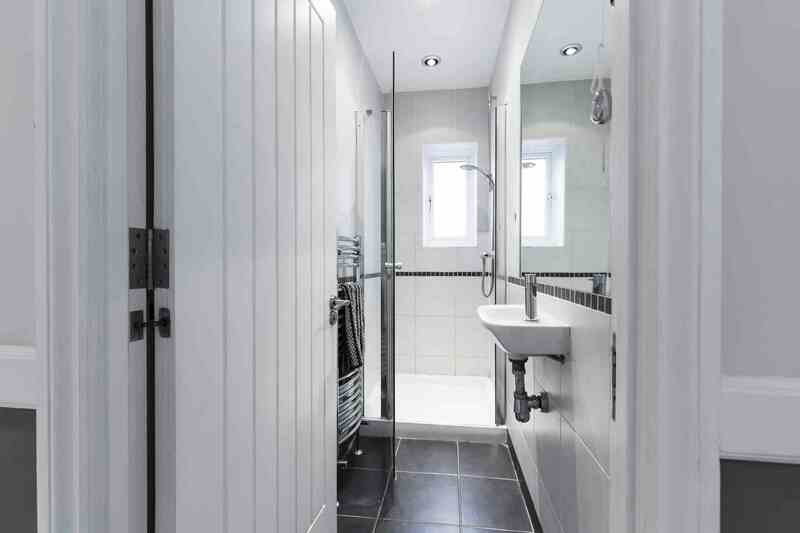 A separate shower room with wall hung wash basin perfectly addresses the needs of a growing family and completes the floor. 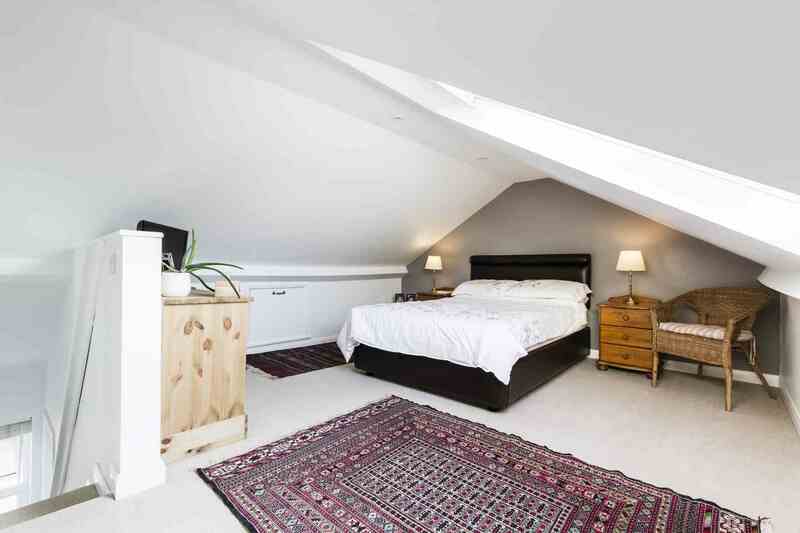 A further flight of stairs takes you up to the large stylish fifth bedroom in the loft conversion. 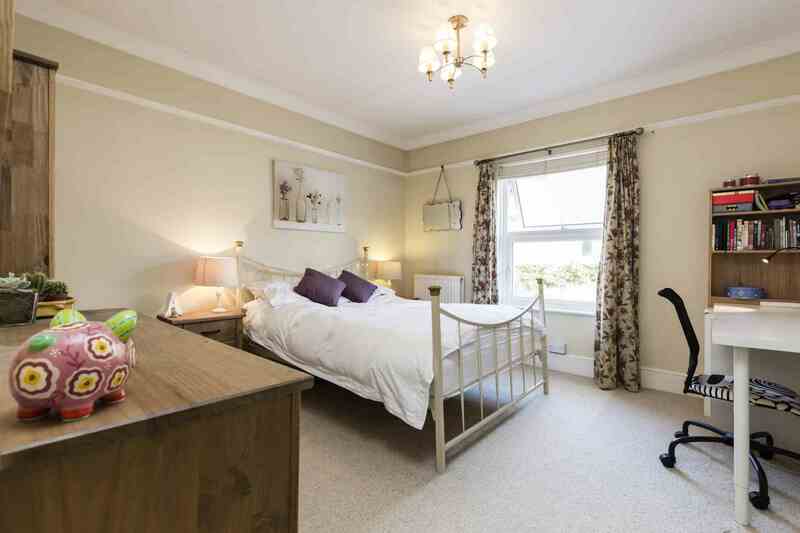 It is a beautiful room decorated in soothing neutral tones with a velux ceiling window enabling you to lie in bed and star gaze. 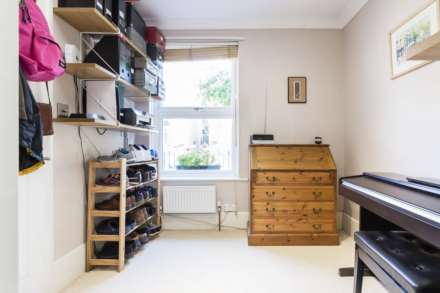 It also benefits from a large walk in eaves wardrobe and an en-suite bathroom. 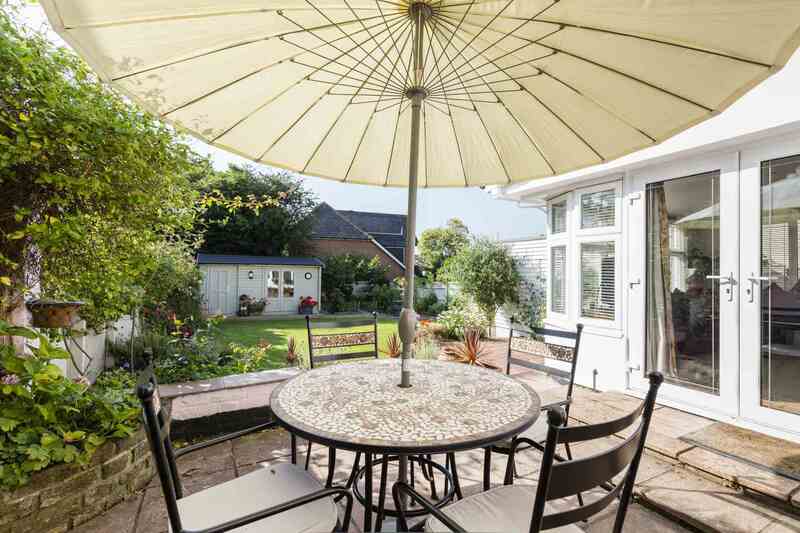 Outside the sunny south facing garden has been transformed into a Mediterranean-style space offering peace and quiet in abundance. A neat raised terrace provides a seating area perfect for lazy summer lunches or evening entertaining while an expanse of lawn is edged by creative vegetable boxes, flower beds and mature shrubs. The rear of the garden houses a smart painted garden studio. It is a versatile space currently used as a home office and a gym with the additional separate storage space providing plenty of room for garden tools. 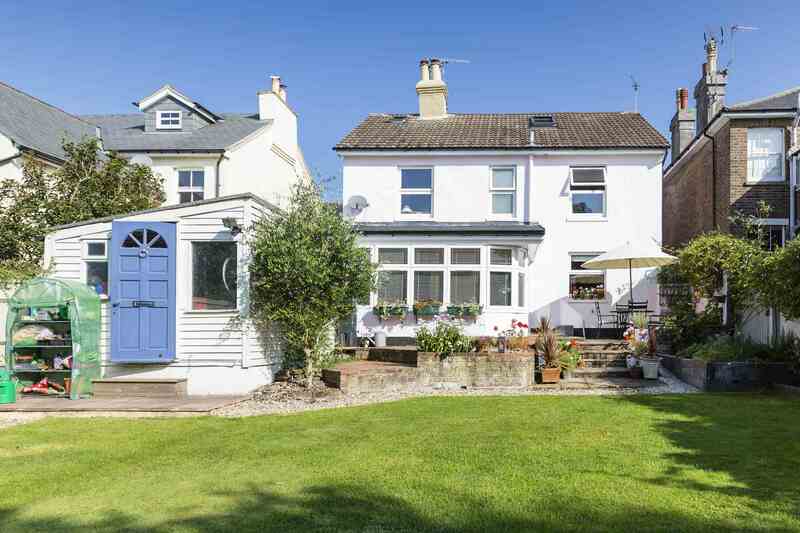 To the side of the studio is a kitchen garden well stocked and maintained adding to the picturesque cottage feel. 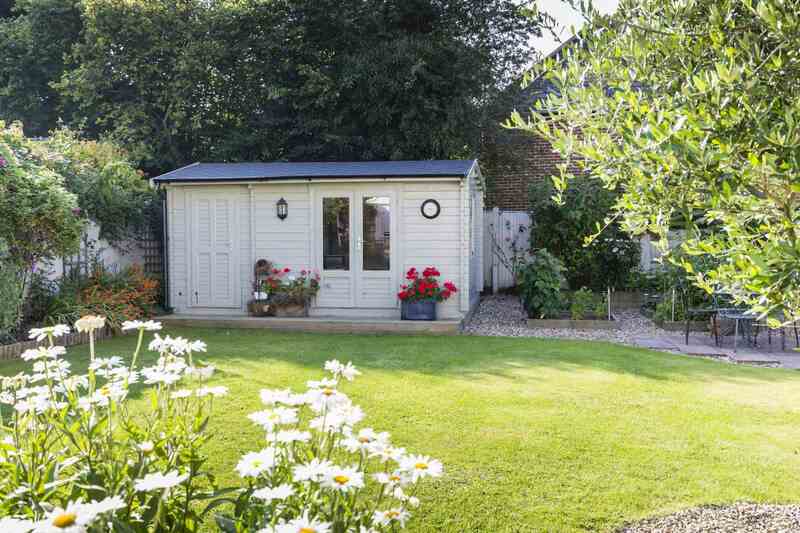 The garage, with rear and front drive access, is large enough to house a car or a variety of bikes and garden equipment. Reception 1/Living room: 11`10 x 12`10` into double glazed front aspect window overlooking the street, fitted book shelving in both alcoves and radiator. Guest Cloakroom/Utility: with low level WC, built in tall cupboard with shelving and providing housing for the boiler, pedestal wash basin, heated towel rail, space and plumbing for washing machine and tumble dryer, counter top, wall mounted cupboard and tiled floor. 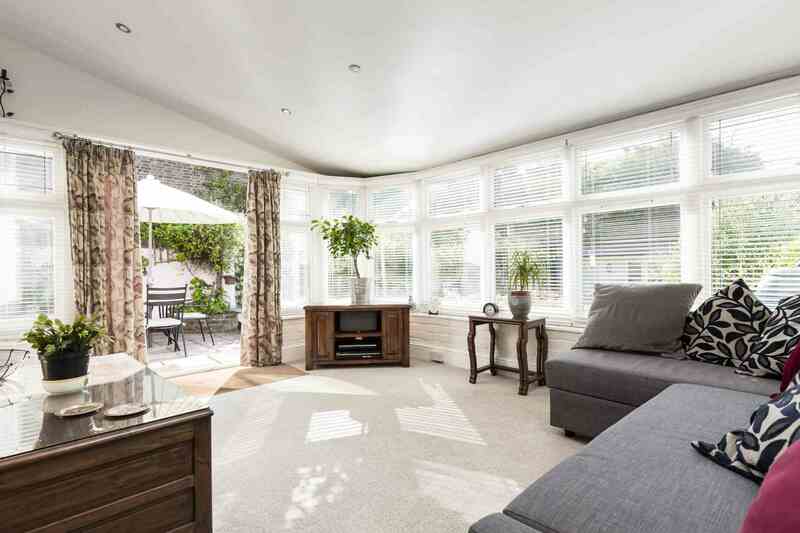 Reception 3/Sitting room: 15`9 x 11`4` into triple aspect double glazed full room width windows overlooking the terrace and rear and side garden with glazed French doors providing direct garden access. Bedroom one: 11`11 x 12`6` into double glazed front aspect window overlooking the street and radiator. Bedroom two: 11`11 x 10`10` into double glazed rear aspect window overlooking the garden, fitted wardrobe with hanging rail and cupboard above and radiator. 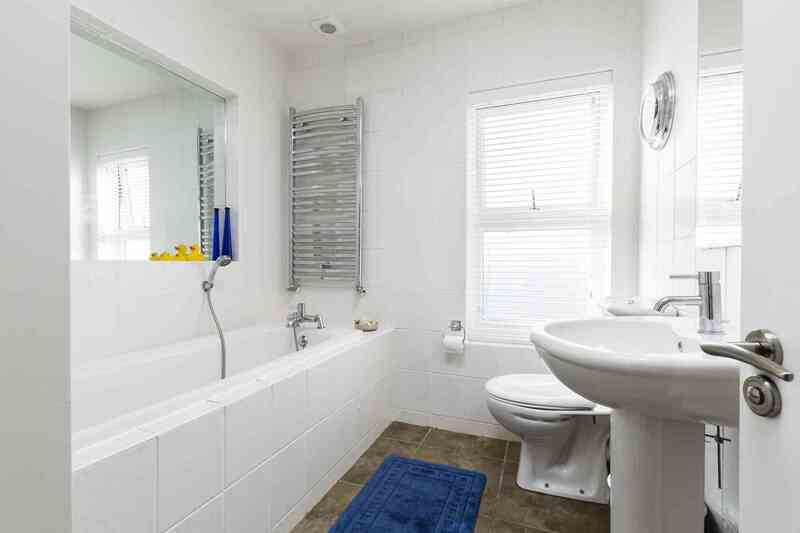 Bathroom: 8`3 x 7 x 6` into double glazed rear aspect opaque window, tiled panel enclosed bath with mixer tap and hand held shower over, pedestal wash basin with mixer tap, low level WC, heated towel rail, tiled walls with large inset mirror over the bath and tiled floor. 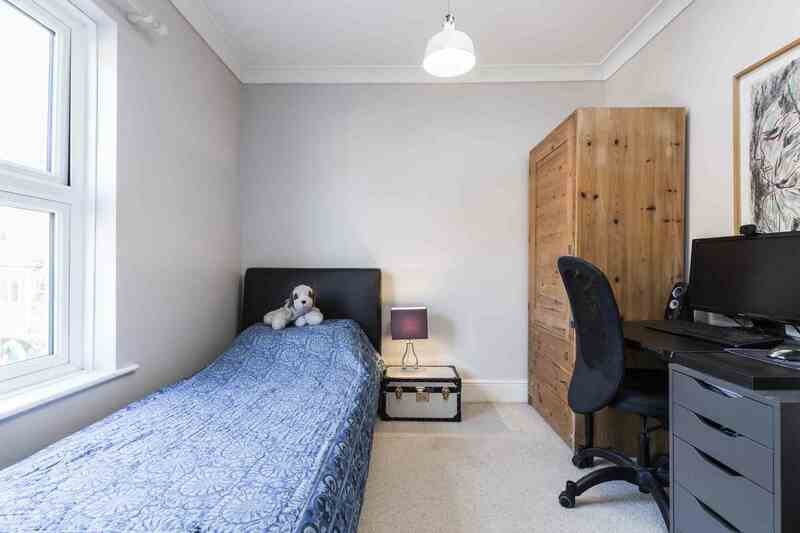 Bedroom three: 8`1 x 10`10` into double glazed rear aspect window overlooking the garden and radiator. Shower room: into double glazed side aspect opaque window, enclosed shower cubicle, wall mounted wash basin with mixer tap, heated towel rail, tiled floor and extractor fan. Bedroom four: 8`1 x 9`1` into double glazed front aspect window overlooking the street and radiator. 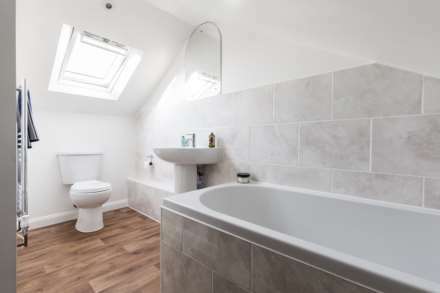 En Suite bathroom: 11`10 x 12`10` with ceiling velux window, under eaves storage cupboard, panel enclosed bath with mixer tap and hand held shower attachment above, low level WC, pedestal wash basin, heated towel rail, part tiled walls and laminate wooden flooring. Outside: To the front is a paved area set behind iron railings and a gate held between brick columns with box hedging behind. A tiled side area provides off street parking, a gravelled space for bins and front access to the garage. 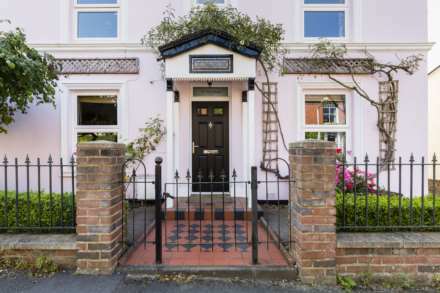 The house is approached through its iron gate up a traditionally tiled path leading up to the front entrance door with climbing roses overhead, a brick flower bed to the front and mature trailing shrubs to the left. 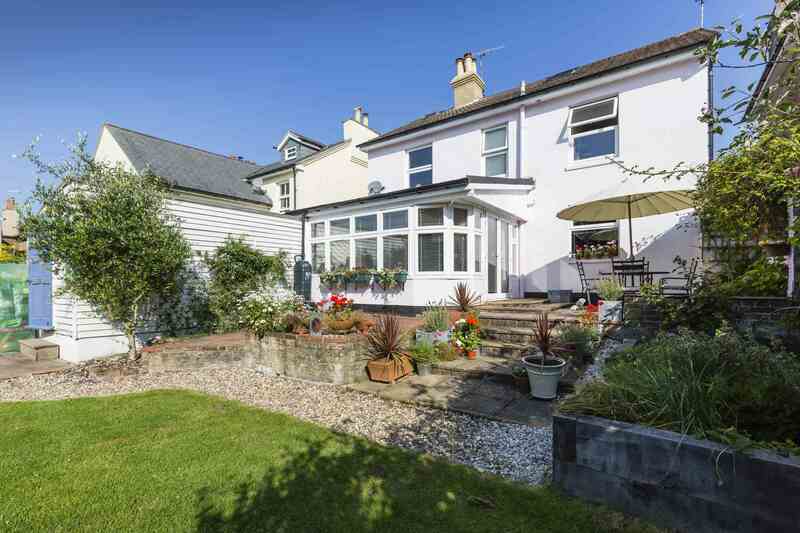 The beautiful rear garden is laid mainly to lawn with a paved terrace area wrapping around the back of the house perfect for alfresco dining stepping down to the lawn. The fenced boundary is fronted by a mix of vegetable beds enclosed in large railway sleeper boxes and a variety of mature perimeter shrubs and flower beds which edge the lawn. At the very rear of the garden is a fantastic painted wooden part glazed garden studio with electricity and lighting and a separate large storage area. To the right is a kitchen garden with a variety of vegetables and herbs and climbing plants. Rear access to the garage which has electricity and lighting completes the rear garden. 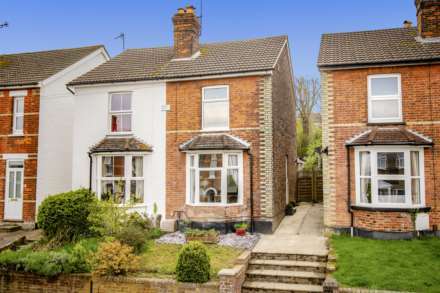 Secondary, independent, preparatory and private schools can be found in both Tunbridge Wells and Tonbridge, while Southborough and Bidborough have there very own primary school. 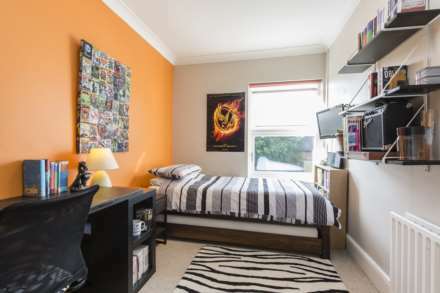 Harland Way is also within the catchment areas for the main highly regarded and sought after Tunbridge Wells Grammar Schools. Tunbridge Wells is just over a mile away with big retail names. The nearest mainline station to Southborough is at High Brooms, about a mile away, with fast and frequent train services to London Charing Cross. There are also mainline stations on the same line at Tonbridge and Tunbridge Wells. Tonbridge Station is only 2 miles away and with two lines passing through it provides on average 34 trains a day from Tonbridge to London Bridge in as little as 35 minute journeys.